Properties in Walker County average 4.8 out of 5 stars. Property 1: Viewtopia - Amazing Views! Property 4: Romantic Couple's Getaway to Renew Two Hearts. Property 19: 36 Private Acres Boasting Spectacular 'Fall' Views with Hot Tub and Fire Pit. 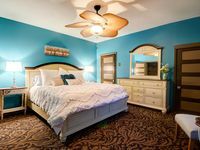 Book 2 nights in April get a night free !! Property 22: Book 2 nights in April get a night free !! !st 2 Weeks of May Open!! Special rates apply so contact us now for discount!! Property 29: !st 2 Weeks of May Open!! Special rates apply so contact us now for discount!! Property 31: McLemore Lodge with breath-taking views! Property 33: Covenant Cottage, Lookout Mountain Near Rock City. 50% Down To Reserve. SAN MIGUEL 7/8 bdrm~ BANQUET/ Meeting Room - opens 1,000 sq DECK! 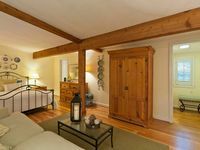 Property 34: SAN MIGUEL 7/8 bdrm~ BANQUET/ Meeting Room - opens 1,000 sq DECK! Windsong Chalet. Hot Tub and Pet Friendly, 50% Down To Reserve. Property 35: Windsong Chalet. Hot Tub and Pet Friendly, 50% Down To Reserve. McLemore offers tennis, swimming, fishing. Golf course is being renovated. Property 42: McLemore offers tennis, swimming, fishing. Golf course is being renovated. Property 43: Blue Mill House. Close to Downtown Chattanooga. 50% Down To Reserve. Had an amazing time at this perfect country home!! Would definitely recommend staying here!